Hot Beauty Hair is a remarkable human hair supplier in China, providing best virgin human hair with wholesale factory price.We specialize in best one donor Brazilian hair, Peruvian Hair,IndianHair and Luxury Funmi Hair.We have own our production designing and developing team in factory. ourselves just for saving your cost. status before we present you. Custom order is one of our speciality. can do it in several days or in 1 to 2 weeks. 4 -5 working days to Africa countries. Trade Show in USA every year. In April 2017, the Company established the "people-oriented" internal management philosophy and advocated the principle of employing people as best as possible to make the full use of it. In this way, the company has climbed a new height in the management level. And Hot Beauty Hair established a "well-known enterprises" "Bench-marking enterprise" corporate image in the industry. 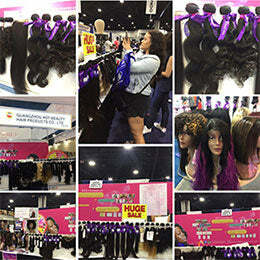 In August 2017, the Hot Beauty Hair proposed new marketing models at the Atlanta and Miami trade shows, gaining unanimous praise from local customers. In 2016, the company won the title of "Vice President Unit of Guangdong Cross-border E-commerce Hair Products Industry Association", further enhancing the company's position in the industry. In 2016, the Company dug deep into customer demand and improved the "360 lace frontal". Once it was launched, it received enthusiastic response from the market and was highly praised. 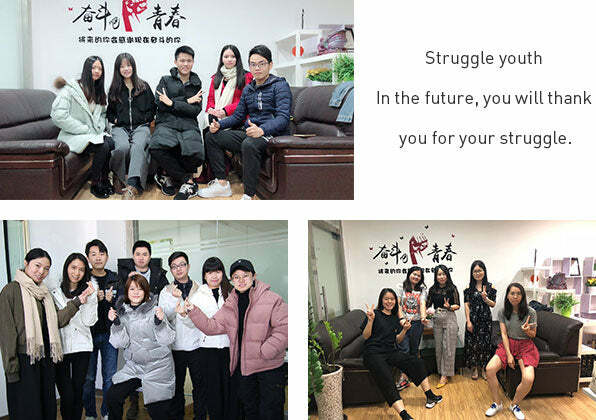 In January 2015, the Company relocated to the foot of Baiyun Mountain and independently owned a space of 500 square meters for office, conference and education. In March 2015, through precise market positioning, the company are extending its business to French and Spanish market. In 2015, the company independently planned, constructed and promoted the new brand "luvme hair" . And achieved great success. Hot beauty enterprise also became the first company to take the independent website for brand promotion in the human hair industry. In 2014, the company further strengthened brand promotion, and invested more in building the official website and brand mall. In July 2014, Hot Beauty Hair go abroad, traveled to Las Vegas in United States to participate in beauty industry exhibitions. 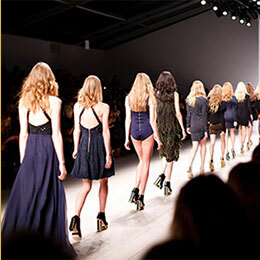 Since then, Hot Beauty Hair has opened a new era of expansion of overseas exhibitions. 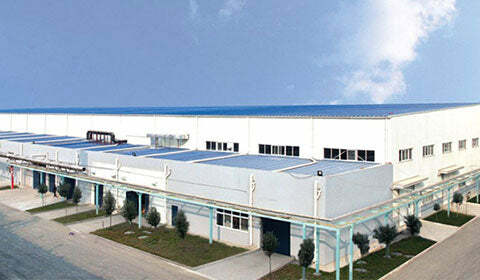 In 2013, the company relocated to Longtou market, West Guangyuan Road , with the area of 200 square meter offices and 3 Sales teams. 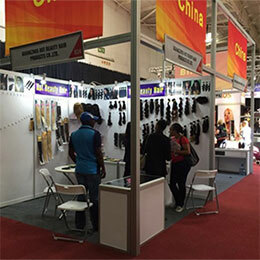 In 2013, the company introduced the top quality "funmi hair" from the U.K. and pioneered the production and sales in China till now. 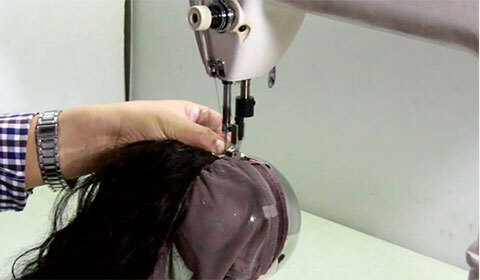 Make "funmi hair" a household name in the hair extension industry. In June 2012, the company clarified the concept of "team work", from previous individual, into an age of team work operation. 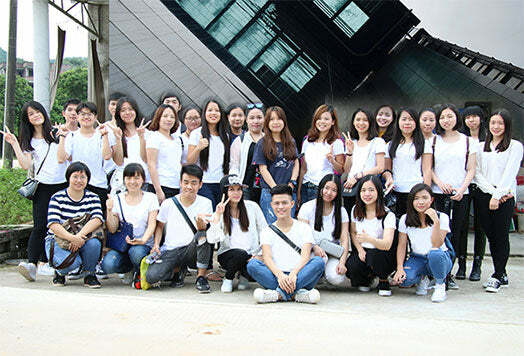 In July 2011, the founder Li Wendan officially registered the corporate identity of "hete " and the trademark "hotbeauty" in Guangzhou, indicating that the new born Hotbeauty will become a well-known enterprise in the hair industry. The same year, Hot Beauty Hair's sales team expanded rapidly. In 2010 and 2011, the company's products sold on Aliexpress won the industry's first place. Hot Beauty 's fame began to spread extensively and establish the status among the hair extension industry . In April 2010, due to the impact of domestic e-commerce, the hair products began to enter the Alibaba and AliExpress, hot beauty hair became one of earliest enterprises of hair industry to enter the Alibaba and AliExpress. and the business scope gradually increased from a African countries extended to Europe and the United States. Since that Hot Beauty Hair started the business both online and offline business way, with the manage spirit "go hand in hand". In year 2010, the concept of "Brazilian hair" was redefined by Hot Beauty Hair, since then"Brazilian hair" gradually became recognized by the hair industry.